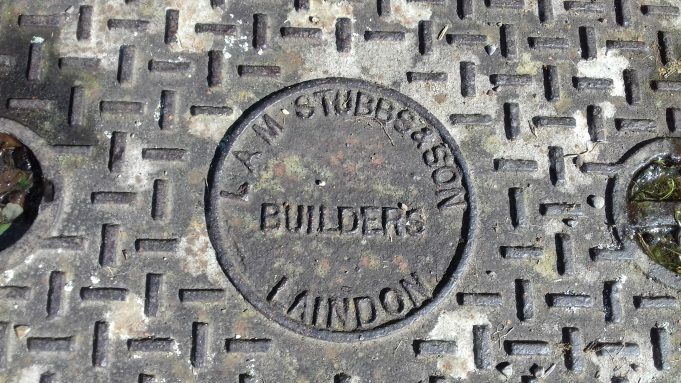 I came across this manhole cover at One Tree Hill the other day and wondered whether it was normal for builders to have their name on them. I thought they would be bought off the shelf with generic wording but maybe it was normal practice to make their own. There were a couple outside the offices and toilets in the main car park and Nick Stanley said they were built in the 1940s so assume they went in then but they do look in good condition. 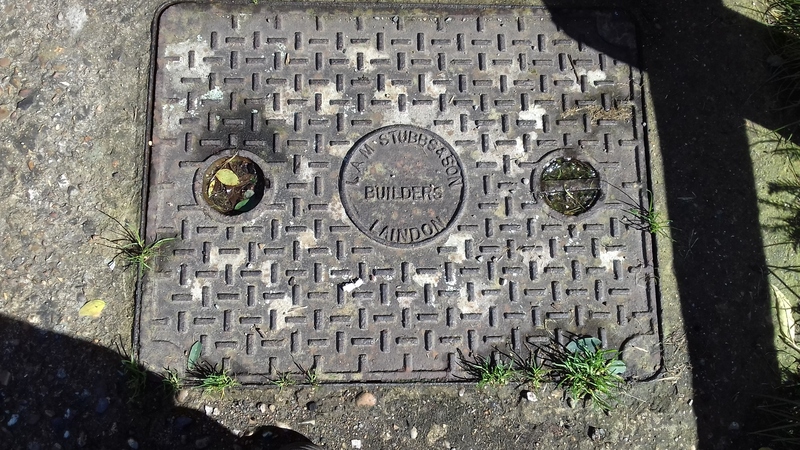 If you see anybody checking manhole covers around Laindon that could be me. I well remember L A M Stubbs trucks travelling along the High Road when I was walking to Laindon High Road School. I lived in Nichol Road and attended the school between 1958 and 1963. As I recall, the vehicles were white with the company name in black, at a quick glance the name looked like ‘I am Stubbs’ which caused amusement to us lads. I wonder if a boy I was at Laindon Park school with, Russell Stubbs was related to the firm owner at all.